The sound banks for Arturia instruments let you customize your experience and access hundreds of outstanding presets created by ace sound designers and artists. Make your choice and invigorate your creations with these pure concentrates of inspiration. The sound banks are additional content for Arturia virtual instruments. They require you to own either Analog Lab or each of the other related instruments to make full use of them. Moteka, one of the French apostles of the modern Dark Techno scene delivers a 100% SEM V sound bank like a snapshot of his permanently evolving, deep and complex sonic signature. Pierre Moteka’s story is made of a constant sonic evolution that took him to the deepest layer of the techno underworld. As he explored the dark side, he naturally embraced sound design as a second nature. The Sound Bank he created is a treasure chest filled with modular-like, dark, ambient and techno-ish sounds through which he devoted to stretch SEM V’s limit. Let the techno pulses guide you into the dark. Experienced performer, passionate geek and nonconformist artist Maxime Dangles created a sound bank of 32 presets for the SEM V inspired by his use of classic analog synthesizers. Since he broke into the techno scene, Maxime Dangles never ceased to shake the dance floors of the greatest clubs and to cumulate experience while he deepened his unique style. As a true experimenter and a classic synth addict, he used the SEM V to create a comprehensive tool box for electro music, making the most of its exceptional effectiveness and potential. This earth tremor will lead you to infinite aftershocks. Led by his quest of authenticity, techno genius Electric Rescue included a set of 32 Matrix-12 V and ARP 2600 V presets that are all involved on his next album. 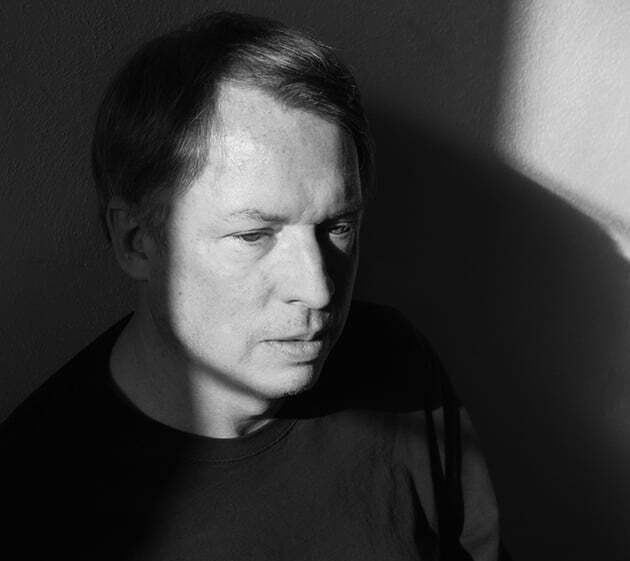 Artist and label owner Antoine Husson has been acting on many domains of electronic music since 1994. As Electric Rescue, he gathers the specific feelings of a wide variety of influences to feed his prolific techno. Paying as much attention to the substance and form, he created a Sound Bank that is all about enriching and developing your tracks from the core to the surface. Discover a feeling that builds the bridge between your instinct and emotions. Now, thanks to the incredible power of the Arturia V Collection, Jarre’s iconic sounds are directly under your control. Expertly created by sound designer Paul Schilling to make full use Arturia’s True Analog Emulation® technology, JMJ Tribute contains 49 deep, multi-layered soundscapes, textures, leads, and arpeggios inspired by 2 of Jarre’s most iconic albums: “Équinoxe” and “Les Chants Magnétiques”. While these animated, luscious sounds are perfect for recreating the revolutionary sounds of Jarre’s late 70s, early 80s golden era, they also serve as an excellent launchpad for inspiring your own masterpieces and as a base for your own patches. JMJ Tribute is a true celebration of the defining sounds of new age, ambient, and early electronic music that still sound as vital and fresh today as they did when they were first released. Warning: laser harp not included. When you’re writing a new track or layering chords and melodies, the last thing you want to be doing is worrying about using a sound that doesn’t compliment the song. Efficient Keys lets you focus on what’s important: the music. Created by Simon Gallifet and Victor Morello Arturia’s resident sound designers - this collection contains 32 keyboard presets created with CS-80 V, Matrix-12 V, Sem V and Jup-8 V that are strong and iconic, but simple enough to easily use in any production. Whether you need some beef up a rock chorus, make the melodic hook for a pop track, or simply to lay down some fat chords on your EDM mix, this preset bank has you covered.The patches within Efficient Keys are a powerful songwriter’s tool, letting you focus on creating music without getting carried away with animated, multi-layered, complicated sounds. They also make a great starting place to build from, letting you develop your own unique sounds from these solid foundations.Keep it simple with Efficient Keys. Created by Sample Magic, this preset pack contains 32 neon-soaked, retro-futuristic sounds for you to use in your productions. Whether you’re new to Synthwave and need some high quality elements to get you started, or if you’re a seasoned Outrun producer who wants to add some variation to your sound, the Synthwave pack has everything you need. The sounds in this pack make full use of the power of Arturia’s Mini V and Prophet V to give you emotive leads, sun-drenched synths, classic drum machine beats in a chilled retro driven sound. These incredibly usable presets will sit perfectly in fast-paced, animated tracks, but could also be used creatively to craft dark, unnerving scores for films, games, or a spooky TV series… stranger things have happened. An impressive collection of House inspired sounds from its inception to the present day, this collection gives you instant access to some of the genre's most emblematic sounds with Arturia's Mini V.
A collaboration between French artist Naux and Arturia's own sound designers Ambre Basuyaux and Victor Morello, House Chords contains 29 Mini V patches that satisfy even the most discriminating House fan. From subtle, nuanced melodic sounds to pulsing, jagged chords, this sound bank draws influence from multiple periods and styles of House to give you a broad, super-usable sound palette to create your dance-floor fillers. With the aim of creating a sound that is both deep and complex, but light and dreamy, House Chords will become your versatile, go-to source for House production. Chicago-inspired, Progressive-infused, but beautifully original and unique, experience House Chords for the Mini V and be blown away. A host of enigmatic, drifting virtual landscapes created using Arturia's award-winning Matrix-12 V, Ambient Soundscapes will create your personal musical world like brushstrokes on a canvas. Containing 50 finely crafted presets made by Arturia sound designers Victor Morello, Ambre Basuyaux-Cousin and Jean-Baptiste Arthus, the Ambient Soundscapes collection will enrich Matrix-12 V with spacious pads, atmospheric arpeggios and vibrant one-shot effects that will give your music unimaginable depth. An essential add-on for sound designers and audio artists, each of the 50 sounds in Ambient Soundscapes takes you on a journey of musical discovery, and will let your listeners drift across mysterious environments and ethereal sonic worlds of your creation. Load up Ambient Soundscapes, and drift away into pure audio joy. You have a hit on your hands, but it needs that extra magic touch. Add an epic landscape behind the muse, an army behind the champion, the emotion behind the message. The Efficient Pads preset bank is a collection of 32 highly functional and instantly applicable pads to take your compositions to the next level. Carefully designed by Ed Ten Eyck, these all-terrain presets for the Jup-8 V and Synclavier V go straight to the point while leaving room for all the other sections of your tracks to fully express themselves. Simple yet ultra-effective the Efficient Pads is all about giving resources to your creativity and letting your skills as a composer and keyboardist shine. Perfect your creations with a final touch, the breath of life. Whatever genre of music you create, this expansion will take it on a tour through a sprawling, neon metropolis. The sounds of Future Electronica will add a lush, cinematic depth to your tracks. Containing 32 stunning new sounds, Future Electronica provides the soundtrack for vibrant sonic cityscapes using Arturia's fabled SEM V and Jup-8 V. The brainchild of the sound-creators from Sample Magic, this superb expansion to the V Collection contains thick leads, evocative pads and evolving patterns that are sure to transform your music. Whether you want to evoke a fractal-patterned cyberspace or a visceral, dark future with your music, this sound bank has the power to take you there. Explore tomorrow's world with the Future Electronica pack. As precursors of Electronic music, the members of the German quartet Kraftwerk have worked with their machines as equals. By leaving aside their ego, they became the icons and forerunners of a new generation of musicians. The Kraft Tribute sound bank for the Modular V and Prophet V celebrates the work of Kraftwerk, the iconic band created in 1970. Like an icebreaker, Kraftwerk became an inalienable legend by forcing its own way through the music map, a way that we now call Electronic music. Created by Paul Schilling, the 56 sounds of the Kraft Tribute bank will allow you to reassemble the key components of their most remarkable productions, or to use them to augment your own creations. This toolbox includes the sounds that made the signature of Kraftwerk: sequences, analog percussions, SFX, pads, leads and basses. Kraftwerk pioneered Electronic music, and their early work certainly divided opinion between fans and critics. History has now spoken, and sided with the fans, and so do we. 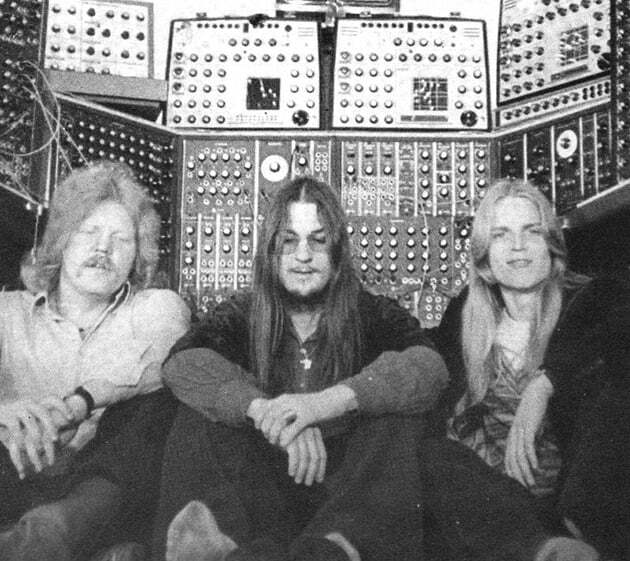 By questioning the true nature of music and sounds, Tangerine Dream gave them a new meaning. Out of simple waves they created gates to an alternate reality, fracturing the layers of time and space. Created by Paul Schilling, the Tangerine Tribute sound bank for Modular V and Jup-8 V pays homage to the works of Tangerine Dream. Created in 1967, the illustrious German collective bestowed nobility on synthesizers and electronic music through their unmistakable mix of ethereal, spatial, and emotional style. The 48 presets in this bank will bring you the sequences, keys, leads and pads to recreate some of the most eminent Tangerine Dream masterpieces. You can also use these presets to enhance your own creations with the genius that will eternally remain at the core of their sounds. Tangerine Dream made synthesizers the center of their creativity, tools to imagine, experiment and explore new approaches to music. It is now your turn to carry on.